Barbara Nabours and Patricia Crowley scored 0.17 masterpoints with a 58.33% game at In Tempo Bridge Club. See full results of this game. 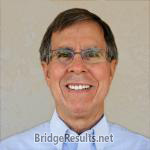 Ken Fox and Macki Ogino scored 0.63 masterpoints with a 59.82% game at Alki Bridge Club. See full results of this game. Ken Fox and Macki Ogino scored 0.63 masterpoints with a 55.95% game at Alki Bridge Club. See full results of this game. Glen Neidhardt and Macki Ogino scored 2.77 masterpoints with a ★66.44%★ game at Seattle Bridge Center. See full results of this game. Ken Fox and Macki Ogino scored 0.56 masterpoints with a 55.35% game at Seattle Bridge Center. See full results of this game. Gabrielle Thomas and Pat Elsner scored 0.15 masterpoints with a 55.88% game at In Tempo Bridge Club. See full results of this game. 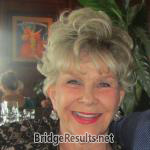 Patricia Crowley and Barbara Nabours scored 0.21 masterpoints with a 55% game at In Tempo Bridge Club. See full results of this game. Glen Neidhardt and Macki Ogino scored 0.56 masterpoints with a 54.23% game at Seattle Bridge Center. See full results of this game.